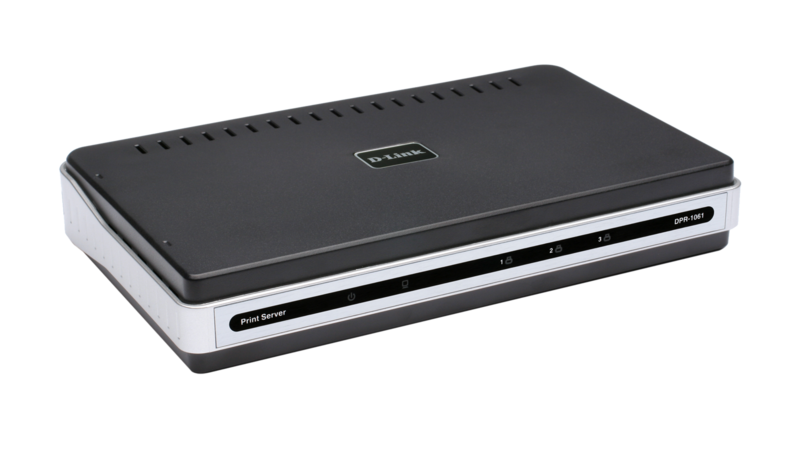 The DPR-1061 3-Port Print Server is a versatile multi-port print server ideal for use at the office, school or business. With 2 USB ports and 1 parallel port for printer connection, this device gives you the versatility of adding multiple printers or multifunction equipment to your network. Supporting scan, fax, and print functions, the DPR-1061 can create up to 3 printer/multifunction equipment connections, providing an easy and cost-effective way for you to share your multiple devices over a network. The DPR-1061 3-Port Print Server provides users with 3 available ports from a single device, and offers print and scan compatibility for those who are using multifunction equipment. This print server allows users to directly send out documents from their PC for fax transmissions. Enjoy sharing your printer and multifunction equipment's printing, faxing, and scanning abilities among the users on your network - all with a single print server. Equipped with a powerful CPU, large memory, high speed USB ports and network data transfer, this print server makes your operations fast. Devices attached to the DPR-1061 can print, scan, and fax at the same time, giving this multi-port print server a similar performance to 3 separate single-port print servers at a fraction of the cost. The DPR-1061 provides the necessary security by allowing the administrator to configure user access right to the network printers and equipment. It supports a wide range of network OS including: Windows 95/98/ME/NT 4.0/2000/XP, Apple MacOS with AppleTalk, Linux, Solaris, SCO Unix, IBM AIX and NetWare 5.x native NDS. Enjoy the flexibility and compatibility in major network OS that this print server has to offer. The DPR-1061 supports the Internet Printing Protocol (IPP), enabling remote users to output files to their office printer even when they are away from the site. HP PJL protocol is also supported for bi-directional network printer communication, providing network administrators with critical information about the network printer. Regardless of where you are, never worry about being unable to print out important files ever again with this print server’s convenient functions.